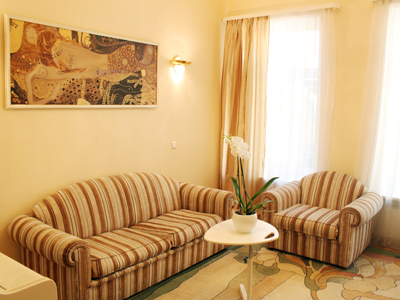 Apartment is located in the very touristic center of Spb. Apartment has 1 bedroom and 1 livingroom. There is 1 king-sized bed in bedroom. It can be transformed into 2 standard beds instead of 1 bed. Apartment is equipped with all necessary techique: microwave oven, electric kettle, toster, TV, iron, hair dryer. Secure entrance to the yard (code letter) and to the apartment block door intercommunication system). Also there is an oportunity to go out from the yard just to the General Staff Building (Dvorsovaya square).